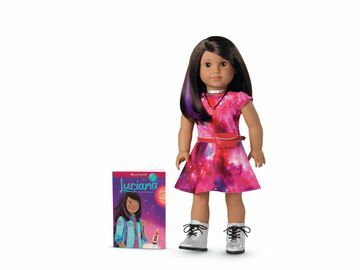 American Girl Gives Girls More Characters And More Stories To Love In 2017! | Mattel Inc.
MIDDLETON, Wis., Feb. 14, 2017 -- For more than 30 years, girls have met and fallen in love with American Girl characters—both historical and contemporary—that have helped build self-confidence, inspire creativity, and give a broader understanding of the world. Now, in response to thousands of impassioned requests from fans for more options, American Girl is introducing a new series of contemporary characters and stories designed to speak to even more girls' interests, backgrounds, and experiences. The fresh approach gives voice to a diverse range of personalities and backgrounds and new ways for girls to connect with smart, compelling, and aspirational characters that they can relate to and love. The new 2017 American Girl characters, including those from today and yesterday, will come to life via beautiful 18-inch dolls and unique outfits and accessories, as well as a variety of different content forms that tell their stories—from books to live-action specials to other digital platforms like online videos, web series, and apps. Kicking things off on February 16, American Girl fans will meet the newest contemporary character, Tenney Grant™. A rising star in the Nashville music scene, Tenney is a breakout songwriter finding the heart to be herself. 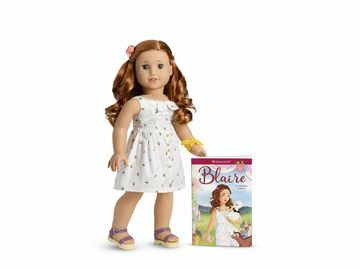 Tenney comes to life for girls via a beautiful 18-inch Tenney™ doll featuring long, curly blond hair and warm brown eyes, an exclusive outfit that reflects her artistic side, and a book chronicling her story. The Tenney collection also comes with several music-inspired outfits and accessories, including a miniature version of an authentic Taylor® GS Mini® guitar that can be strummed and plays three songs, and a two-sided stage and dressing room that features more than 40 pieces, like an amp, microphone, and working spotlights. And keeping the beat as Tenney's drummer is newcomer Logan Everett, American Girl's first-ever boy character. Logan's assortment includes an 18-inch doll with short brown hair, gray eyes, and an original outfit, as well as his very own rhythmic drum set. Published by Scholastic and written by award-winning author Kellen Hertz, the Tenney book series will inspire girls to share their authentic selves and find the courage to pursue their dreams. Tenney has a world of feelings, ideas, and music welling up inside her—all she needs now is the right stage to share what's in her heart. As her star rises, Tenney goes from writing songs in her family's backyard, to taking center-stage at her school Jamboree, to playing her music in a professional concert. She learns quickly that it takes hard work and grit to stay on the path to becoming a great performer—but it's going to take extra determination if she wants to stay true to herself and her music. Tenney Original Music: American Girl worked with Nashville's Erika Wollam Nichols, CEO of one of the world's preeminent listening rooms, The Bluebird Cafe, and renowned artist manager and music producer Denise Stiff to find singer-songwriters from around the country to write Tenney-inspired music. 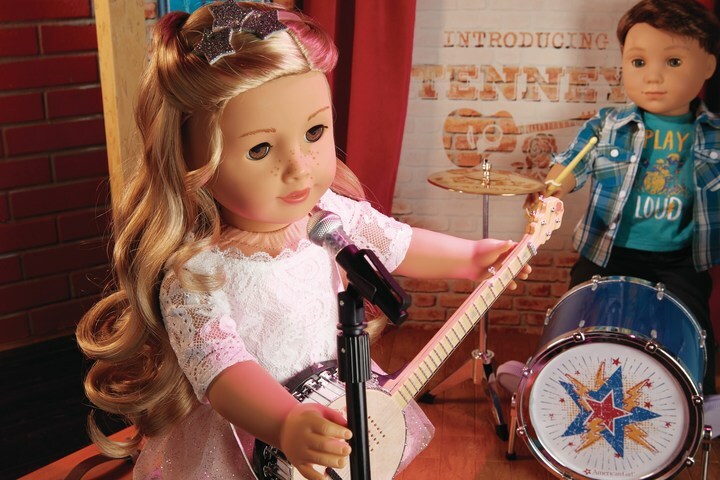 Songs were chosen from nine girls and are featured throughout the Tenney books, products, and behind-the-scenes videos on American Girl's YouTube channel. Tenney Retail Events: Starting February 16, American Girl stores are hosting Tenney's Debut Event, where girls will get a first look at her full product collection, plus enjoy in-store activities, colorful crafts, giveaways, and a fun photo opportunity. For more details on the in-store events, visit americangirl.com/retail. Radio Disney Music Awards: American Girl and Tenney will come together for the 2017 Radio Disney Music Awards to support the Heroes for Change Award and Music In Our Schools initiative during the show. The telecast, "Disney Channel Presents the 2017 Radio Disney Music Awards," airs Sunday, April 30 (7:00–9 :00 p.m. EDT) on Disney Channel. The Tenney collection is available on February 16, 2017, through American Girl's catalogue; at americangirl.com; at all American Girl retail locations nationwide; and at American Girl specialty boutiques at select Indigo™ and Chapters™ in Canada and El Palacio de Hierro locations in Mexico City in March. The Tenney books can also be purchased through retail and online booksellers. 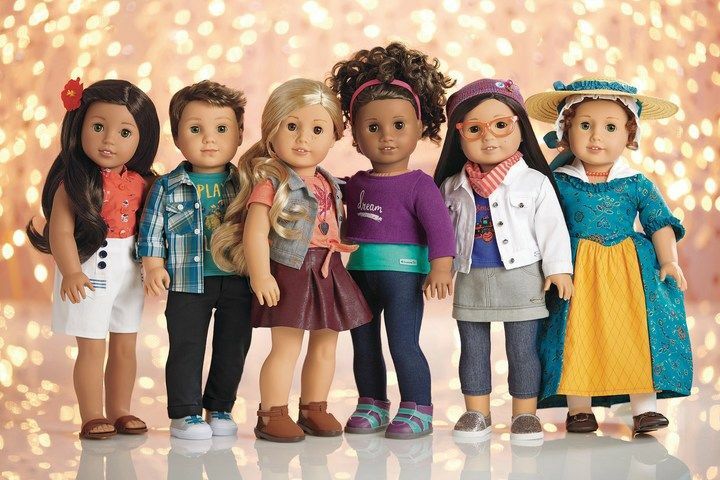 To learn more about Tenney, Logan, and other new characters debuting throughout 2017, go to americangirl.com, Facebook at facebook.com/americangirl, Twitter at twitter.com/american_girl, Pinterest at pinterest.com/agofficial, and American Girl's Instagram page at instagram.com/americangirlbrand. To request an American Girl catalogue, call 1-800-845-0005. American Girl's newest contemporary character, Tenney Grant, with her bandmate and American Girl's first-ever boy character, Logan Everett.